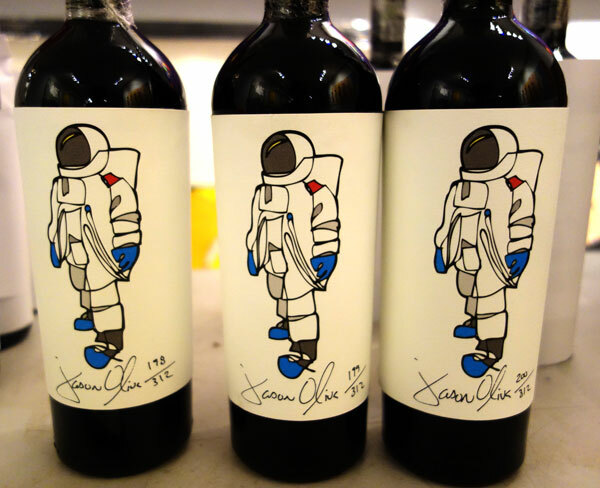 Jason Oliva [Wine] Astronaut 2010 Has Landed! 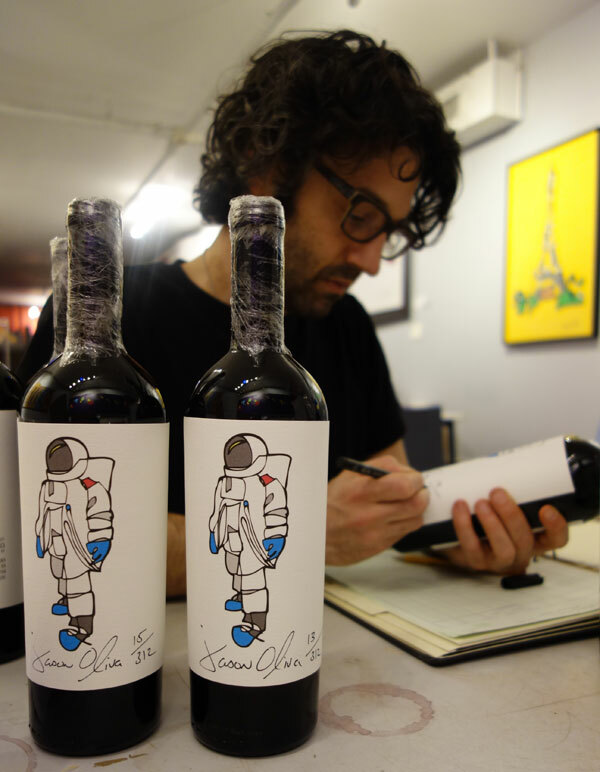 The second release of Jason Oliva [Wine], Astronaut 2010, has completed its journey from Stellenbosch, South Africa to New York City and I am happy to report that just like its predecessor, Stripey Horse 2008, Astronaut 2010 is a work of art both inside and outside the bottle. A special thank you to Dirk Roos, not only for his fine winemaking skills but also for his enthusiasm and commitment to the Jason Oliva [Wine] project. And thank you to all of you who have supported Jason Oliva [Wine] and shown a genuine excitement through all its developments since the project began in 2010. I couldn’t have done it without you. Cheers! The image for the Astronaut wine label was taken directly from my original work on canvas, simply titled Astronaut. This painting sold last year and the same image is also available as a ‘Work On Paper’. The Astronaut work on paper continues to be one of my best-selling pieces and is often given as a gift. For those of you who don’t already know, the works on paper are hand painted, hand signed limited editions of 50 and 100 and are available in small, medium and large. Each image is also available in color, grey or white. The number of my images now available as works on paper is now quite substantial and keeps on growing! To see more works on paper and find out more, just follow the link. The same as the Works on Paper, a good number of my images are available as fine jewelry pendant necklaces, including the Astronaut! Jason Oliva [Jewelry] is available in Sterling Silver, Sterling Silver Rose and Black Rhodium tints and 18k White Gold. Each jewelry piece is presented in a hand-signed box. Follow this Jason Oliva [Jewelry] link to find out more. Open Studio. Tribeca. NYC. April 2014. If you would like to view my work in person, come along for a studio visit! This is a great chance to bring family, friends, work colleagues – or just come by yourself! – and ask me any questions you may have while drinking a glass or two of wine. Just drop by or send me an email to let me know you’ll be there. We also have an Open Studio every Thursday evening from 5pm onward. All are welcome! 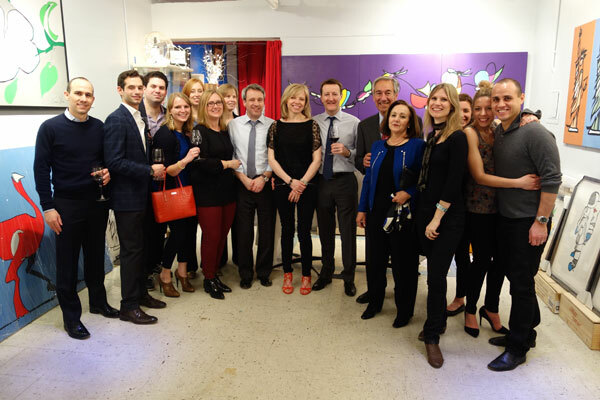 Previous GREY FLOWER: Open Studio and the First Day of Spring on Thursday March 20th! Next Blast From The Past:Rocket 2009 A Sold Painting By Jason Oliva.